Indonesia, Sulawesi Tenggara Province, Eel After The Catch - I watched a group of fisherman pulling in a net by hand off the coast near Kendari. The catch was meager. 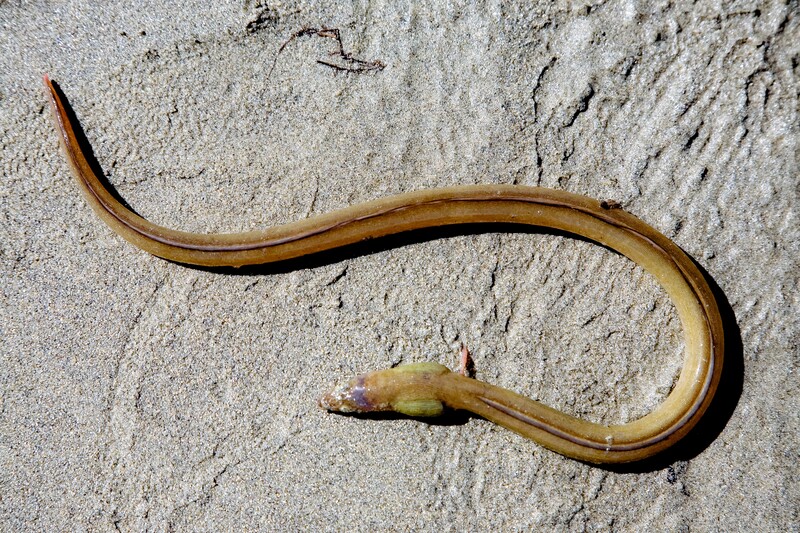 It included this small eel.